I’d like to add one word here if I may: transparency. Because in my experience, transparency is one of the most important keys to business success. Business owners and CEOs must be completely transparent with all stakeholders, regardless of the situation. A lack of transparency can come back to haunt businesses, with the eventual consequences much worse than if the owner or CEO had been transparent in the first place. Transparency is especially critical in your relationships with your banker and your vendors. Bankers don’t like surprises. If there are any negative developments at your business, it’s always better to get out ahead of things and tell your banker about them instead of sweeping them under the rug or just hoping they go away. Your banker will eventually find out, so by being transparent from the outset, you can work together on possible solutions. For example, sometimes businesses experience temporary cash flow lags that make it difficult for them to meet their loan repayment schedule. Or financial circumstances may arise that cause the business to violate its loan covenants. In these situations, the worst thing you could do is to miss a loan payment or wait for the bank to tell you that you have violated the covenants. At this point, the damage, so to speak, may have already been done and the options for remedy may be much more limited. Instead, you should talk to your banker at the first sign of any financial difficulties that could lead to a missed loan payment or covenant violation. Your banker has probably dealt with other companies in similar situations so he or she may be able to suggest financial solutions that can help alleviate the problem. By being transparent, you will demonstrate to your banker that you are on top of financial developments at your company and proactive in financial management. Conversely, failure to be transparent will demonstrate the opposite to your banker. He or she may think that you’re being deceptive or evasive and thus begin to lose trust in your management abilities. And as noted above, the later your banker finds out about financial problems, the less flexibility he or she will have in working together with you to develop workable solutions. The concept of transparency also applies to your relationships with your vendors. For example, the same cash flow lags and financial circumstances that can lead to missed loan payments or covenant violations can also lead to late bill payments to vendors. Paying vendors late can lead to a wide range of problems, including possibly damaging vendor relationships to the point that the delivery of key materials and supplies is delayed or severely disrupted. You should contact a vendor right away if it ever becomes apparent that you will be unable to pay an invoice on time to let them know and discuss a mutually agreeable solution to the problem. Chances are, you won’t be their first customer who is unable to pay an invoice on time. The vendor will probably appreciate you being transparent and letting them know ahead of time what’s going on instead of just not paying the invoice by the due date and hoping for the best. If you are a long-time customer and have always paid invoices on time in the past, the vendor may be willing to work with you. For example, they might extend the payment due date to help you through your cash flow crunch. Or they might be willing accept a partial payment now and allow the remaining balance to be paid over time, perhaps charging interest on the outstanding balance. Conversely, if you let the payment deadline pass without contacting the vendor, the vendor (like a banker) may think that you’re being deceptive or evasive and lose trust in you. The vendor might initiate aggressive collection tactics, including hiring a collection agency or attorney, which can cause irreparable harm to your relationship and damage your company’s credit rating. Or the vendor could require cash on delivery (COD) for future shipments. In a worst-case scenario, a vendor might simply stop supplying your business with supplies and materials that are vital to your operations. An outsourced CFO services provider can help you in your efforts to be more financially transparent with bankers and vendors. This financial professional can serve as a go-between by communicating on your behalf with your banker and vendors if you are encountering financial difficulties that could lead to missed loan payments, covenant violations or late vendor payments. With an outsourced CFO’s help, you will increase the chances of arriving at a satisfactory solution for all parties involved. Transparency is one of the most important keys to business success, especially in your relationships with your banker and vendors. If there are any negative financial developments at your business, it’s always better to get out ahead of things and tell your banker and vendors about them. Failure to be transparent could lead bankers and vendors to think you’re being deceptive or evasive, in which case they might begin to lose trust in your management abilities. 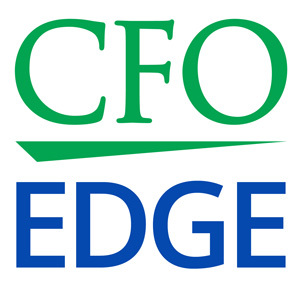 An outsourced CFO services provider can help you in your efforts to be more financially transparent with bankers and vendors.